It is a known fact that athletes take advantage of the benefits of remedial massage to help them perform their best. Take note that, when we say remedial massage, this is not the common home massage or the one done in spas and relax parlors. Remedial massage is a medical modality on its own and is conducted by a licensed therapist (not a reflexologist). You can read our first article on remedial massage for more info and elaboration. Going back on the first statement, athletes are known beneficiaries of the power of remedial massage to tune them up and improve their capability. 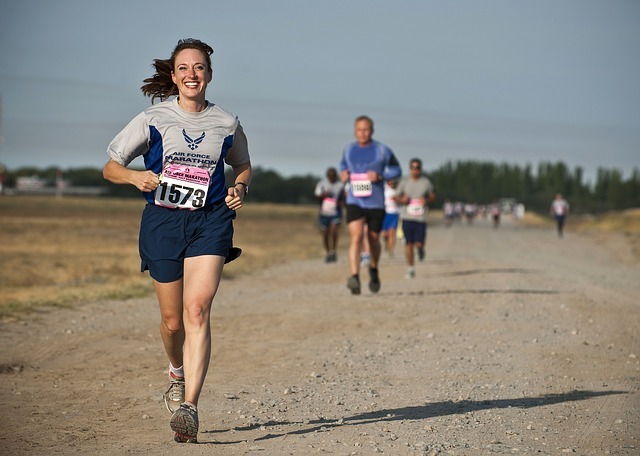 If you are a marathon runner, then you are not an exception. Whether you have run more than a hundred marathons or you are up to your first 100th lap, remedial massage should be part of your calibration and therapeutic maintenance. Because running requires repetitive leg and foot muscle movements and contractions, there will be tensions and stresses occurring on such muscles and on the other body parts attached to them. The more frequent and greater the contractions are, the more powerful the force generated by the muscles – thereby making the runner run faster and reach farther distances. The thing is, the risk of soreness and injuries increases due to the tightening of muscles, shortening of muscle fibres, and the diminishing blood circulation brought about by the compression of muscle tissues. As a general effect, remedial massage enhances the blood circulation among the body parts where the therapy is being applied on. The circulatory system is in charge of distributing the oxygen and nutrients to the different organs of the body, plus the removal of waste products from the tissues and cells due to their metabolic processes. Imagine if the circulatory system is not functioning well. You would not want your organs to be deprived of the needed oxygen and nutrients, would you? And you surely do not like poisonous garbage clogging up your cells and tissues? If such scenarios happen, your speed and stamina will certainly be affected, and then you will see your marathon dream going down the bin. Decreasing and normalising of blood pressure. You may say that such responses may also apply to anyone receiving treatment from a remedial massage therapist. Yes, of course, but more so if you are a marathon runner. Because marathon running is a competition, you will need aid to enhance your performance (without the intake of substances). Because it is also a sport which involves strenuous movements, you need to prevent yourself from incurring injuries, and if they do happen, you need a therapy that will help you recover faster. Note that therapy means the application of a corrective procedure and not just the mere relaxing touch and massaging of the outer skin. Remedial massage is both a therapy and soothing technique that provides a relaxing effect as well. Do not think that remedial massage is something you should seek only after the game itself. You should include it as part of your preparation. With remedial massage’s effect on better blood circulation, your leg and foot muscles will experience improved performance for better contraction and movement. Through a treatment of remedial massage, you will be able to take better control of yourself and of your movements, ensuring that you are in tip-top shape before the actual marathon. Besides, the weeks and months of arduous training have made your muscles tense and tight, and as mentioned in previous paragraphs, you need to restore their balance – putting them back in their optimum condition.